The 2017 season has been one of stark contrasts here at Petter Karlsson Sleddogs. It has been rewarding but frustrating, full of expectations and challanges, highs and lows. With so much to think about, I (sled guide and sometime blog rambler Helen) think a race season round up is in order before we move on to 2018. We all had a great time and learned so much from the Metsjövidda Fjäll Race. It was lovely to do something all together, and whether competing or organising it was a fun, rewarding experience. I was disappointed to scratch in my one-race-race-season, but still happy with what the team had managed to do. For the rest it was a great exercise in co-operation for some and unconventional checkpoint strategy for others. Next year the race will be even bigger – Petter even wants to add another one in December “to test all of the yearlings for real. To give them all the same chance”. 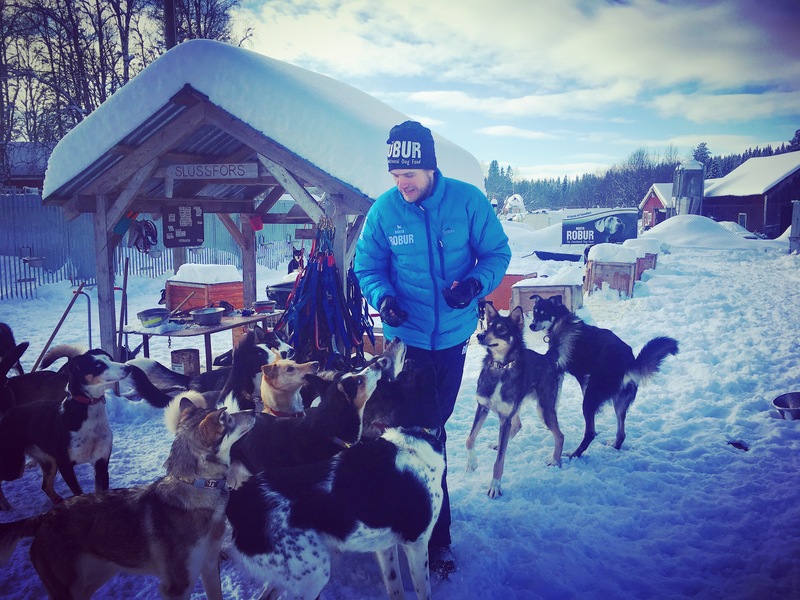 This is a true passion of Petter’s – when I asked him about his season highlights, he enthused that “to see one new dog, to see the future” will always be his favourite part of being a musher. This year we’ve seen some incredible dogs burst through the ranks of yearlings, and we look forward to seeing many more push (or should I say pull!) the kennel forward. Femundløpet was a real season highlight for all of us. Not without it’s challenges (e.g. 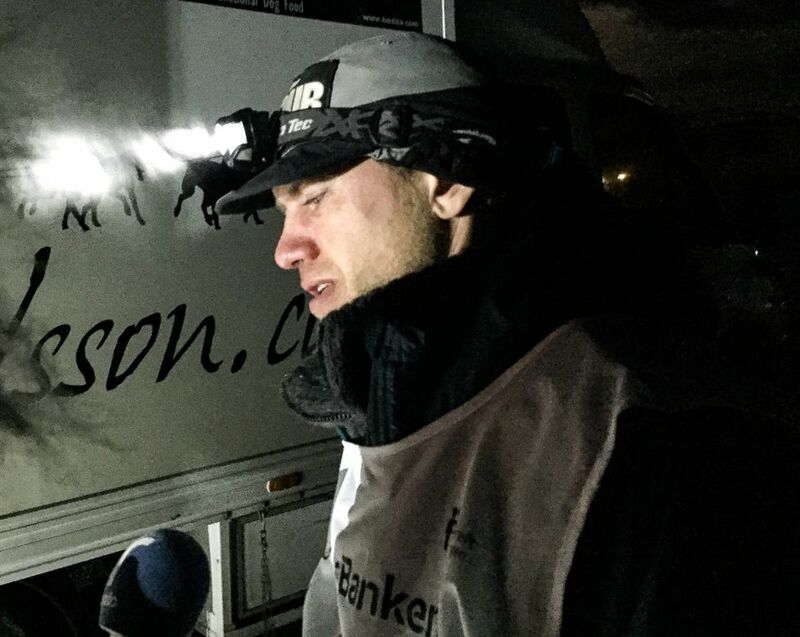 exploding dog trucks) the race still proved a triumphant one for Petter, and breaking the speed record for the race felt like a great moment. But it definitely didn’t all go according to plan. Before he left Petter had no intention of running Femundløpet to win. “He couldn’t help himself because he had such a good team” Angela recalls. Petter has been frank about his feelings on his performance on Femund in the press, but now he has had even more time to think on it and can view it through the lens of his performance at Finnmarksløpet. “I could have won Femund in a better way” he reflects “it was not necessary to win with 38 minutes, I could have won with 10”. But not everything he learned from that race was negative. “Now I know that the team is good enough to win Femund, I can focus more on Finnmark next year”. Which brings us neatly to Finnmarksløpet, the biggest race in Europe, and our primary focus of the year. “I’m disappointed” says Petter, “that [Finnmarksløpet] was the main goal”. To scratch due to sickness was for us the saddest way to leave that race. If the team had been healthy, even if we hadn’t won “we would have been up there fighting for it” says Angela with steely resolve. But we’ve learnt a lot from the experience, both on a personal and practical level. “I have to be more careful” according to Petter “I brought it [the sickness] home from Femund” he continues “they resisted for such a long time but when we started working so hard they were not strong enough”. Now, with so many dogs, in some ways we need to work more like a large kennel than the small operation we’ve always been. A week’s quarantine for the A-team after a race will become standard practice, so that viruses picked up from other dogs don’t linger. “It feels like I needed something like this to focus my mind and energy” Petter says that there is still a lot of analysis to come. You can run well, have a good team, a good performance “but the difference between that and winning, that’s a big difference”. But our season didn’t end with Finnmark! There was still one more race to run, as our guide Bent took on the Beaver Trap Trail. The Beaver Trap Trail is a 350km race in Northern Sweden and Bent competed in the 12 dog class. It was by all accounts a tough race with high winds and Bent did a fantastic job not only finishing the race, but coming in in fourth place. We must give our heartfelt congratulations to the winner of the Beaver Trap Trail, friend of the kennel and one half of the Cold Nose Huskies, Malin Strid. Well done! So there’s much to think about and much to do as we head into the spring. We’re already looking forward to next year – to the many months of hard training that comes before any races take place, and to putting to good use everything we’ve learnt this season.